Heat oven to 375°F. 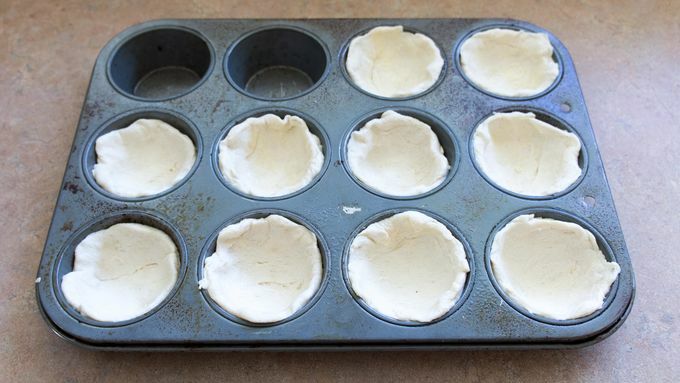 Lightly spray 10 regular-size muffin cups with cooking spray. Separate dough into 10 biscuits. Press each in bottom and up side of muffin cup. Heat 10-inch skillet over medium heat. Add beef; cook 8 to 10 minutes, stirring occasionally, until thoroughly cooked. Drain, discarding any excess fat. Stir in barbecue sauce, ketchup and mustard. 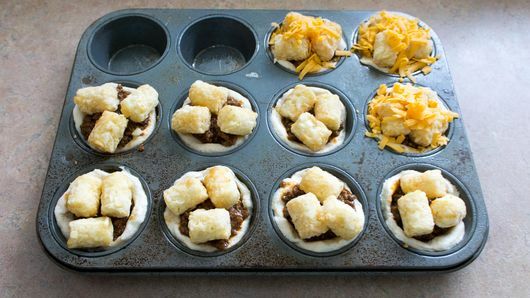 Spoon rounded tablespoon beef mixture into each dough-lined muffin cup. 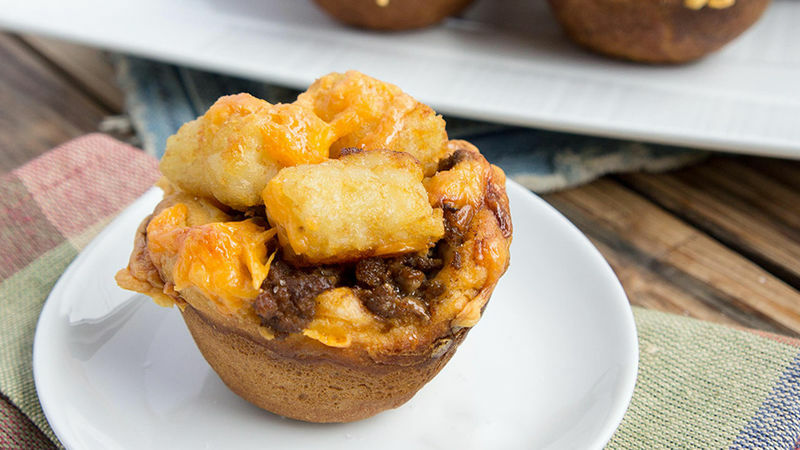 Top each cup with 3 potato nuggets; sprinkle each with cheese. Bake 15 to 20 minutes or until potato nuggets and biscuit cups are golden brown. 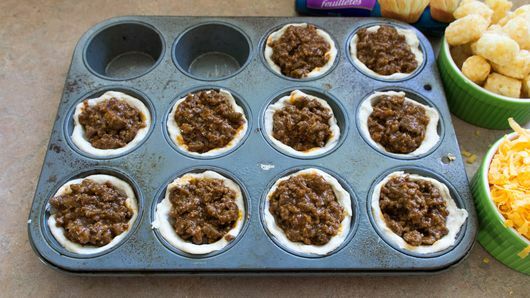 Add 1 cup frozen corn to the beef mixture before spooning it into the biscuit cups.